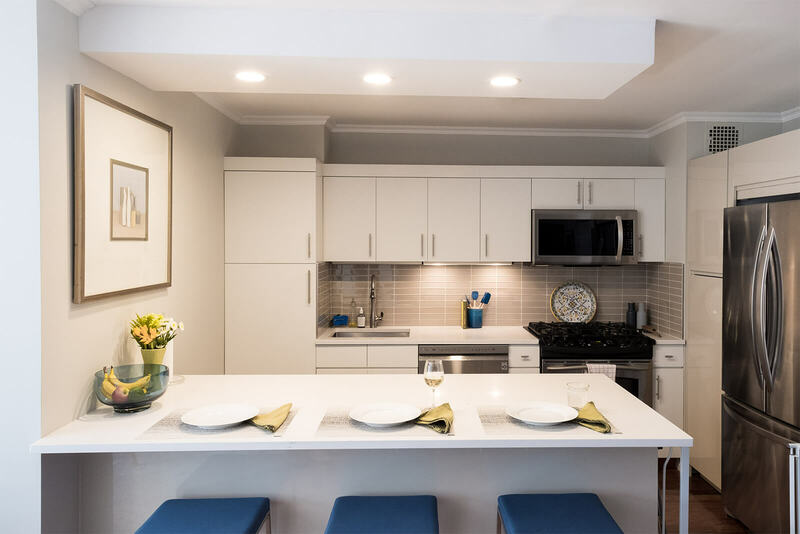 In the heart of New York City’s busy Upper West Side residential neighborhood, this one-bedroom apartment needed a second bedroom along with some family friendly upgrades. 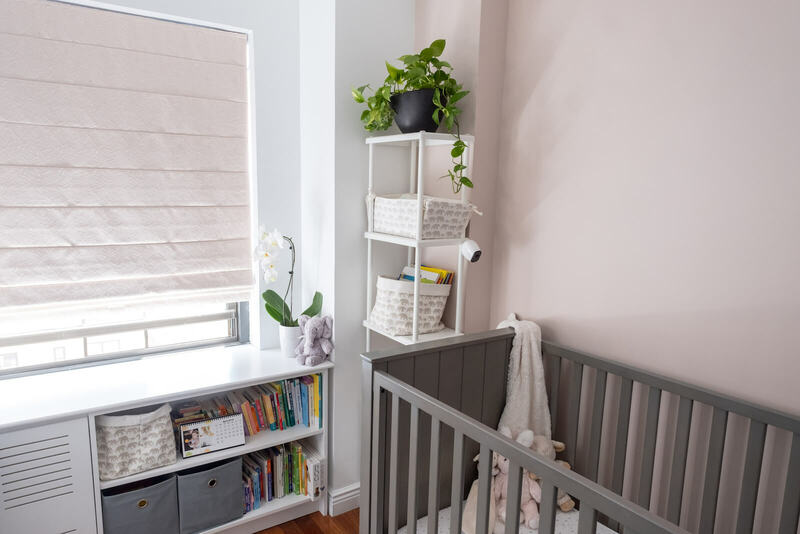 As parents, Gwen and Alysa needed to prep their home for their toddler’s growing curiosity along with preparing their space for a newborn. 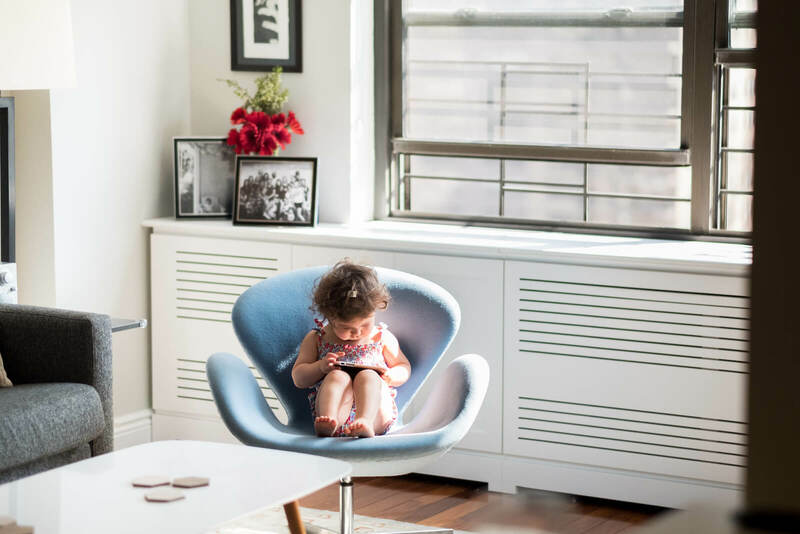 Their daughter, Stella, was ready for her own room, and most of the furniture and decor needed to be switched out for pieces appropriate for a NYC-sized apartment with two kids. 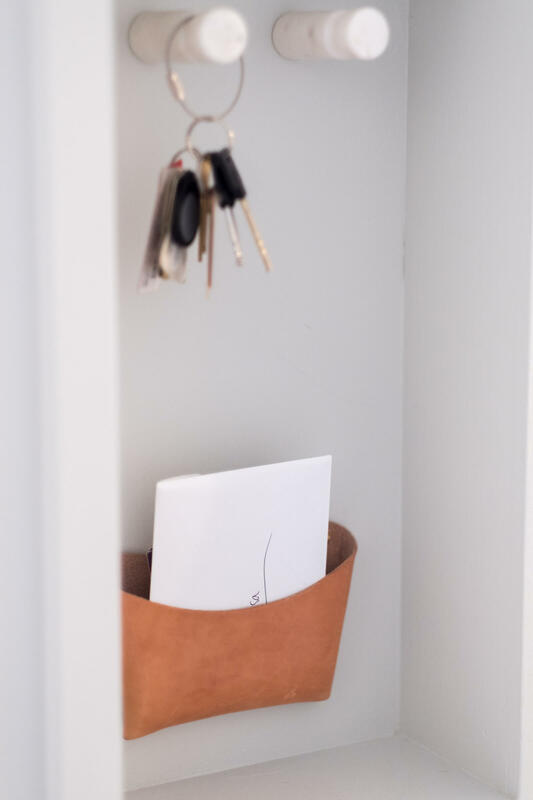 Durability, safety, and organization were key words used during our initial interview, along with one element they didn’t want to compromise on - aesthetics. 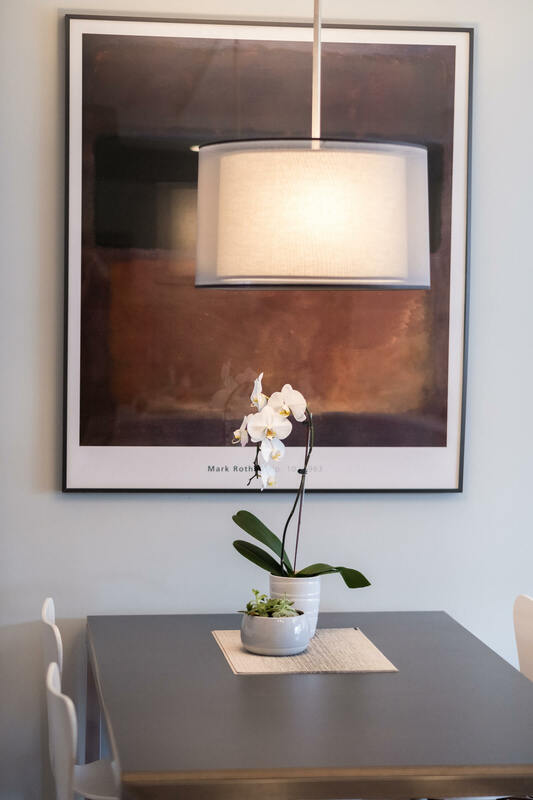 Keeping their cozy, contemporary, and minimal vibe was a must, all while providing the resilience for two little ones. The basic utilitarian aspects of the house that needed to function well were focused on first. 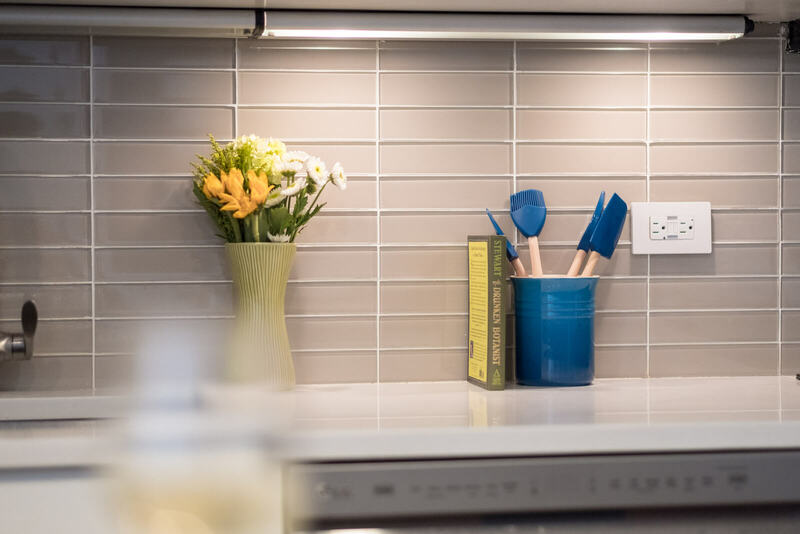 The kitchen was given a bright and functional facelift. 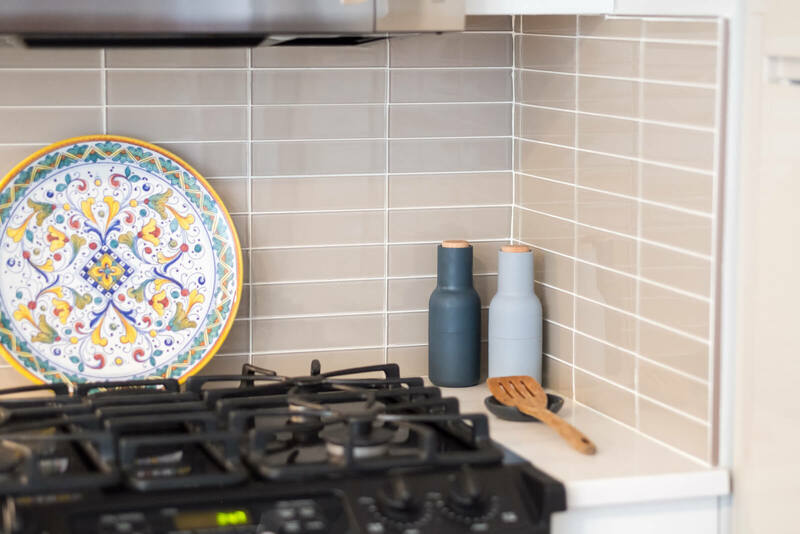 The existing dark-stained kitchen cabinets were painted a crisp white, durable quartz countertops were installed, and back-painted glass tiles were added for a polished, refined look. 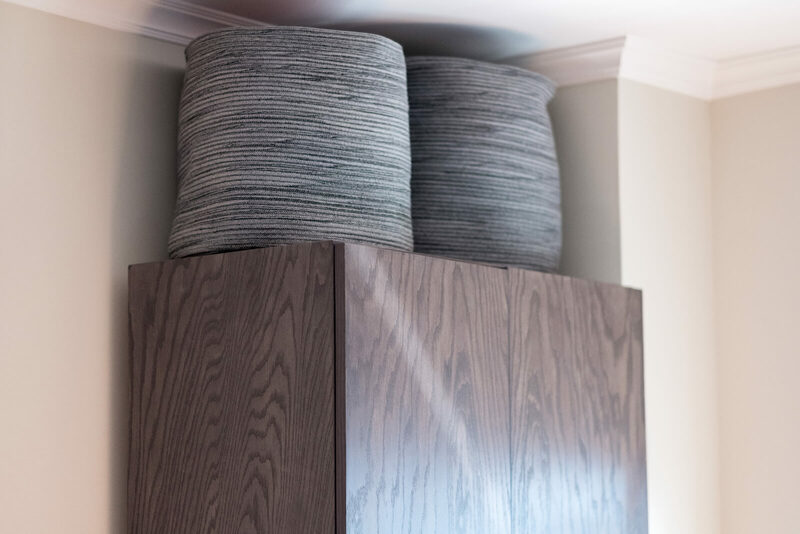 All closets were outfitted with shelving systems to maximize their concealed storage. 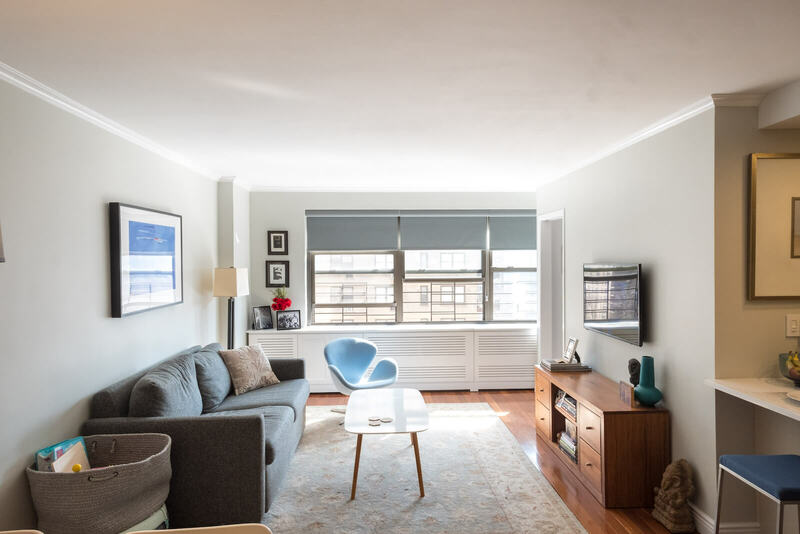 The heating and air conditioner units were covered with custom millwork along the windows creating a streamlined look while providing additional storage. The pre-existing formal dining area was converted to a second bedroom for their toddler. 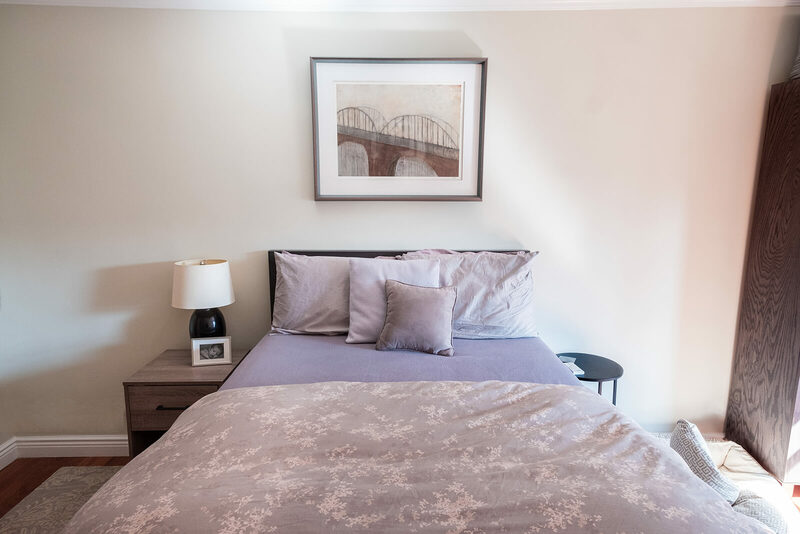 White, greys, and hued-out pinks were used in her bedroom for a bright place to play, yet a soothing environment for sleeping. 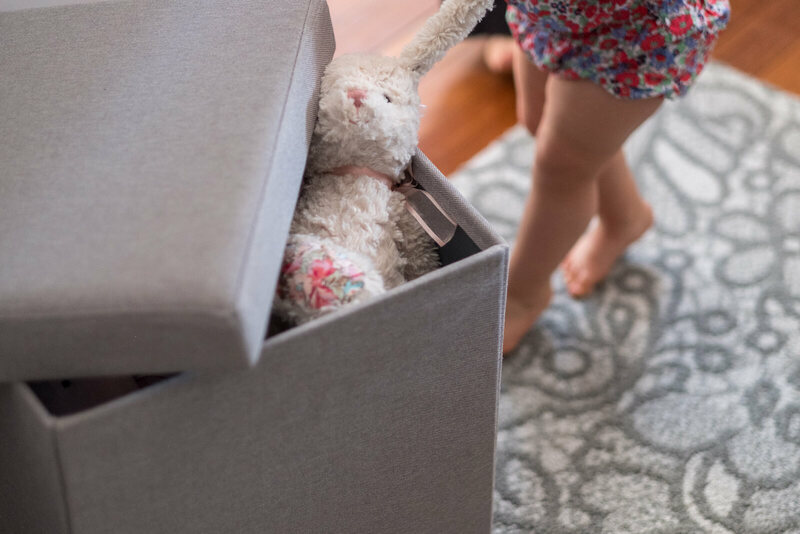 All furniture was selected to keep in mind the very real, everyday impact of having kids. All surfaces needed to be soft and edges round for toddlers’ curious and wobbly ways. Fabrics and materials were chosen that could withstand the inevitable spills and accidents. All these upgrades and selections never jeopardize their personal style and design taste. 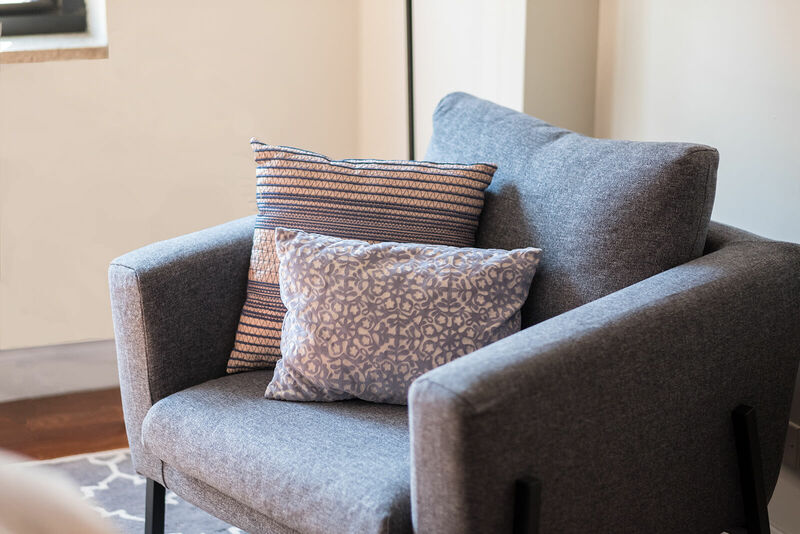 The renovated apartment was functional, comfortable, and refined.